Five members of staff at the Isle of Man Children's Centre have been made redundant because of government cuts. 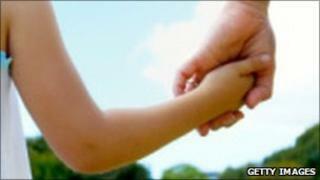 The charity, which provides support for Manx children and families, will see staffing levels reduced from 27 to 22. The government is not able to make public how much money it currently provides to the children's centre. A spokesman said the move would result in "a re-balancing of work" to "achieve increased provision for children and young people at risk". The centre is currently advertising for two positions, a fundraising co-ordinator and a social worker for the fostering team. The charity was established 1868 as The Isle of Man Home for Orphaned and Destitute Children. Its work ranges from professional training for potential foster parents to providing adventure activities and residential care for Manx children. The Children's Centre said it "will be making every effort to find suitable alternative employment for the members of staff affected by this decision".